At Bailey’s Floor Care, we’ve been providing professional carpet cleaning services in Northampton and surrounding areas since 2001, restoring carpets of all types for both domestic and commercial clients. Take a look at this transformation on the right hand side. A clear difference! Even in a bedroom it’s clear to see how soiled carpets can get. Regular cleaning of your carpets will help to not only remove the visible soil, giving a cleaner appearance, but also to remove the dust, debris, crud and who know’s what from the base of your carpets… the bits you can’t see! It’s this ‘stuff’ that we breathe in! Let us not forget that we spend 8 (ish) hours a day in our bedrooms, breathing in everything that settles on our carpets! People say… ‘Carpets are bad for your health, you should rip them up and replace them with laminate!’ Not True! Carpets are the filters for your home. If you can imagine… you have laminate throughout the downstairs of your home. You come downstairs every morning, opening doors as you go and the unseen draught from doors opening gently blows the dust, crud (including your dead skin, house dust mites etc) back into your micro atmosphere (your home) where you can breathe it in again. Carpets on the other hand, trap that dust and crud that settled over night in the fibres of the carpet – acting as a filter for your home. But like most filters they need cleaning out from time to time. We’ve had comments over the years of how the dust levels in people’s homes have helped to reduce the amount of dusting that our clients have had to do. This is because we’ve cleaned their carpets and emptied their filters so their carpets can be more efficient at the job of improving the indoor air quality of the home. Does this make sense? We’ve seen that people migrated from carpets to laminate… and finally back to carpets. Not only do we go all out to provide great looking carpets but also a fantastic service on top of that. Nothing is too much for our clients and we find that this attitude towards who we are and what we do is what keeps our clients coming back time and time again. 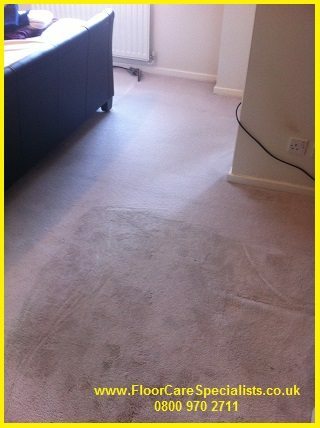 So if this is the sort of service you would like and you want your Carpet cleaned then either fill in the quick enquiry form or give us a call on 01530 215 036 and we’ll take care of the rest. We are a Professional Floor Care company who specialise in Carpet Cleaning, Rug Cleaning, Fabric & Leather Upholstery Cleaning, Karndean & Amtico Cleaning and Sealing, Stone Floor Cleaning and Restoration, Wood Floor Sanding and Sealing as well as Cleaning and Sealing your Patios and Driveways for our domestic and commercial clients throughout Derbyshire, Nottinghamshire, Leicestershire, Warwickshire (Inc Coventry, Kenilworth & Leamington Spa) and Northamptonshire.